The festive time starts as the month of September ends and schools and colleges close for an autumn break. This was always a perfect time to head for the long road journeys as the heat is not too intense and most of the destinations had lesser crowd than one sees during the peak summer months and around Christmas. During my years in the Navy, I would take a short break from work and plan out journeys into the unknown and look forward to the day when our journey would commence! The road trips always had the element of uncertainty as in India the buses rarely keep to the schedule. So the first thing that always was borne in mind was to start early for every place to avoid feeling cheated for having lost a few precious hours in just waiting for the bus to arrive. I have some of the most exciting memories of these road trips and each being unique! 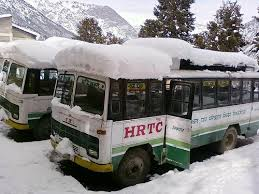 I vividly remember having planned for journey to Badrinath by a bus from Rishikesh many years ago. The journey provided fascinating views with stoppages en route. The bus engine huffed and puffed as the arduous climb began. We were just about 10 km short of the destination when the smell of burning rubber gave me a feeling of unease! A huge spark came from under the bonnet and the cable was burning! The driver switched off the engine but the cable kept burning till the fire was doused. After some help, the driver managed to pull out some extra cable. After the engine cooled down we commenced the remaining part of the journey. One can never travel without good company of fellow passenger especially the monkey cap clad Bengalis during Puja vacations! During one trip from Pithoragarh to Lohaghat, the bus was relatively empty! In came a shepherd with the flock of the sheep and the bus conductor who was more than generous accommodated the four legged guests! We were once traveling from Rishikesh to Chakrata a military cantonment with some of the most magnificent views of the Himalayas! Even to this date the foreigners need a permit to visit the place. The bus started form Rishikesh and after about two hours reached Vikas Nagar from where the gradient is very steep. It had rained the previous night so the roads were slushy. After traversing about 2 km the bus stopped abruptly. I was stunned to see that the road beyond that had vanished and its place we could see a huge crater. We were asked to disembark. The driver realized that it was impossible to go beyond so after about an hour the bus returned to Vikas Nagar. We were forced to stay overnight at a small hotel and next afternoon we learnt that the Army had restored the route so we commenced our journey yet again. At the spot of landslide, some makeshift repair had been done, but we had to alight the bus and the driver took the bus over the treacherous road to the other side, while we climbed through the rocks over the landfill and boarded the bus on the other side! The Army Major had canceled our reservation at the guest house as we had not shown up! There was a time when the bus was running a few hours late from Pathankot to Dalhousie and to make up for the time the bus driver drove at a breakneck speed and we felt having a live experience of the movie ‘Speed’ starring Sandra Bullock ! The beauty of the Teesta river can best be admired on the road trip from Siliguri to Gangtok. While traveling from Darjeeling to Kalimpong once, the driver decided to take a shorter route and the rest of the journey for a distance of almost 20 km was a roller coaster ride, with bus perched atop the hill at one instant and disappearing into the cloud the next moment leaving us wet! I am not sure whether it was the sweat that trickled in cold mountains or the moisture of the nimbus clouds! The experience was repeated yet again while going from Shillong to Cheerapunji when the clouds kept following us! I am fortunate that having gone through these experiences I survived them and am able to narrate these! The smell of raw earth after the fresh rainfall, and the glimpse of sleeting flakes of snow in wilderness continue to pull me towards such destinations even today! PS: 1.Some of the fellow bloggers who have written about their recent journeys catalyzed my dormant mind to write this post! Ha ha... sure you must, Agnes! OMG! Those were more of adventure trips. I had one such experience, will write about it on my blog when I am running out of ideas. Quite right, in retrospect, they were more adventure trips, Saru! Do find time to recount your experience too! Truly adventurous, experiences happen for a reason I am sure! What a great story - and what a scary adventure! I can imagine how you felt while getting through the clouds. I had this experience in Tala cauvery in Coorg. Rishikesh to Vikas Nagar trip too is amazing. You are really lucky to experience these trips. The only thrilling experience for me was while going to Amarnath under military guidance! Travel brings to our mind so many experiences. 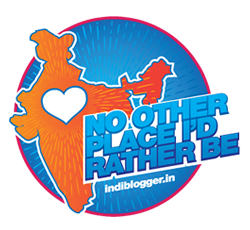 As you said fellow bloggers with their travel blogs have a way to make us go back to our own travel experiences, and make us also write about them. It was good reading about your bus travels here. I am happy you enjoyed reading, Rajlakshmi! Interesting post,hill driving is not without a few scary moments.You remind me of some which i survived. Do write about your experieces, as it would be good to read them as well! You have some real thrilling experiences. :) Made me remind of my own :) And the landslide thing sounded really scary and crazy both...thanks for sharing. Crazy indeed, Latha! Now will wait to read your experiences too! Absorbing read, Rahul. So much to feast on... :)) The breathtaking valleys, hilly streams, lush green forests, snow-capped mountain peaks and mighty rivers of North East are definitely worth seeing. I know how beautiful is Teesta that flows along the Siliguri to Gangtok road! You are fortunate indeed. I haven't enjoyed road journeys mainly because of road sickness. But yes, nothing like a drive through the valley. Bus journeys at high altitudes can certainly be interesting,exciting and adventurous ! But you get the most fabulous views from a bus window ! Very true, Rama! The views from the windows remain etched in minds forever:) Thank you for reading! Lovely to read about your journeys, Rahulji. Travel has such surprises for us! Crater on the road is scary. Phew! Great that the driver located it on time. Kudos to our Army, who restore during crises. I loved my road-journey to Gangtok too with Teesta river and awesome mountains & sights. Thank you Anita for reading! Journeys are always fascinating to the new destinations:) Await to read your experiences of road journey to Gangtok! Thanks for sharing the experience of that road trip Rahul Sir...Somehow I wanna visit the Himalayas too..:D (just for the beauty of it). Thank you Monica for that adorable comment! Hope you have your share of trips , too! You have had some amazing journeys Rahul. I would like to see the beauty of the Teesta river. Just name the Himalayas gives me a sight! I die if I have to drive a bus in places like this.. but I've driven a car by myself at some similar places in Norway.